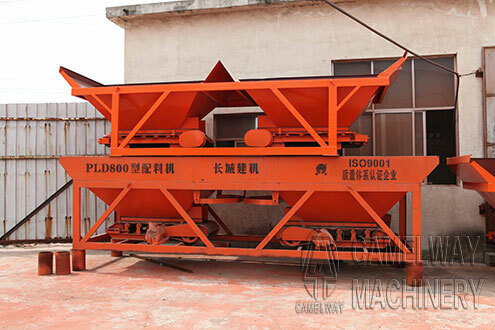 Zhengzhou CamelWay Machinery manufacture is one of the large-scale enterprise specializing in concrete batching machine construction machinery. The company was found in 1983. In 2000, the company passed ISO9001 Quality System certification. The company with four factories,380,000m2,32 workshops,over thirty-three years concrete mixing machine produce experience can produce different type concrete mixing machine. PLD serial concrete batching machine is a kind of equipment with automatically batching material on the front desk and using mixer together. It can automatically finish the batching procedures of 3-6 kinds of materials (second grade concrete) such as sand, stone, cement according to user’s design. This serial products adopt electronic weighing, computer control, digital display, wired remote control operation, and have such advantages as accurate weighing, high precision batching, quick speed, strong control function and convenient operation. 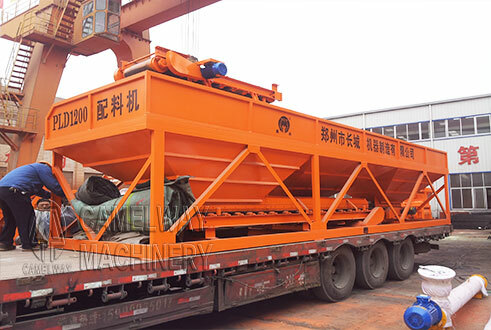 After this serial concrete batching machine combines with relative concrete mixer, different types and specifications concrete mixing station can be formed. If you are interested in our mixer and concrete batching plant or want to know more information, please leave your contact way, for example, name, nation, and your contact way (email, or phone number, whatsapp, skype, viber, wechat). We will give you a reply as soon as possible.